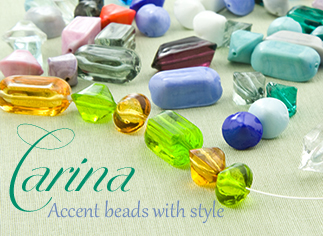 Carina means cute in Italian and that's just what we think about these single color beads. They are made in both our opaque, pastello, colors and in transparent colors of Moretti Glass. We think that sometimes less is more and that is definitely the case with these authentic Murano Glass Beads. The shapes are Italian/American as we began with American tools and had them modified for us in Italy by a second generation Murano Glass tool maker.